Puerto Escondido is a small port and tourist center in the municipality of San Pedro Mixtepec Distrito 22 in the Mexican state of Oaxaca. Explore Puerto Escondido's surroundings by going to Mazunte (Punta Cometa, Playa Mazunte, & more) and Zipolite (in Puerto Angel). Spend the 21st (Sun) among aquatic life with a scuba or snorkeling tour. The adventure continues: kick back and relax at Playa Zicatela, admire the natural beauty at Jardin Botanico Universidad del Mar campus, stroll through Playa Coral, and hunt for treasures at El Mercado. To find traveler tips, ratings, where to stay, and other tourist information, use the Puerto Escondido day trip planning tool . If you are flying in from United Kingdom, the closest major airport is Bahías de Huatulco International Airport. Expect a daytime high around 34°C in April, and nighttime lows around 28°C. 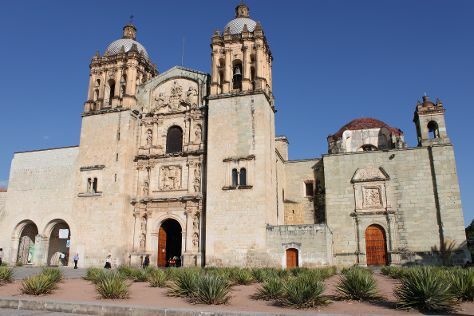 Cap off your sightseeing on the 22nd (Mon) early enough to travel to Oaxaca. On the 23rd (Tue), delve into the distant past at Monte Alban, get a taste of the local shopping with Christian Thornton Gallery, then don't miss a visit to Zocalo, and finally admire the natural beauty at Ethnobotanical Garden. Get ready for a full day of sightseeing on the next day: tour the pleasant surroundings at Pueblos Mancomunados and then don't miss a visit to Hierve el Agua. To find other places to visit and other tourist information, read Oaxaca route builder tool . You can fly from Puerto Escondido to Oaxaca in 1.5 hours. Alternatively, you can drive; or take a bus. When traveling from Puerto Escondido in April, plan for a bit warmer days and slightly colder nights in Oaxaca: temperatures range from 39°C by day to 16°C at night. Wrap up your sightseeing by early afternoon on the 25th (Thu) to allow enough time to travel back home. Catazajá is a town and one of the 122 Municipalities of Chiapas, in southern Mexico. Your day-by-day itinerary now includes Playas de Catazaja. 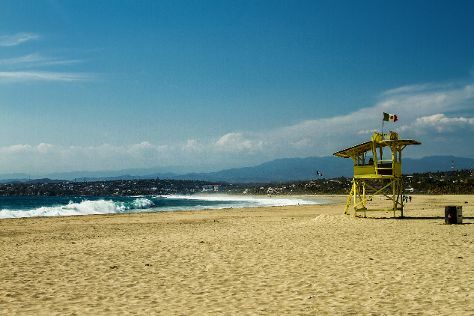 Kick off your visit on the 26th (Fri): enjoy the sand and surf at Playas de Catazaja. To find where to stay, traveler tips, maps, and more tourist information, read our Catazaja online trip itinerary planner . Drive from Oaxaca to Catazaja in 11 hours. Alternatively, you can fly. Plan for a bit warmer nights when traveling from Oaxaca in April since evenings lows in Catazaja dip to 26°C. On the 27th (Sat), you'll travel back home.